On the seventh of February 2019, his excellency Minister Mohammad Choucair visited the Ogero Headquarters at Bir Hassan to meet with the Chairman of Ogero Mr. Imad Kreidieh along with other prominent Ogero directors. During his visit, he also checked the new and improved Ogero call center, making sure to see all its modern facilities and how they were segmented to more efficiently serve customer needs. 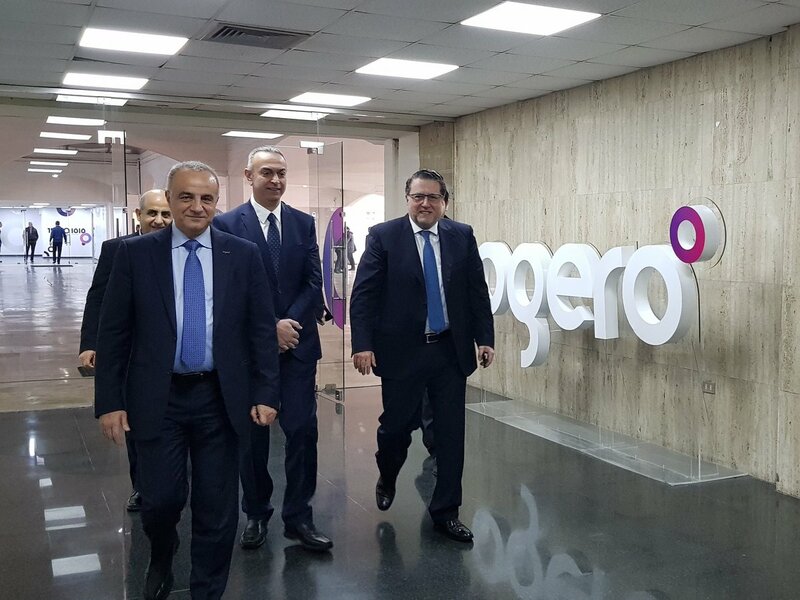 As Lebanon's telecom infrastructure is improved and modernized, Ogero is striving for the same manner of improvement, and modernizing its call center for better customer communication is one of many steps to be taken in that direction. Towards the end of the visit, Minister Choucair spoke to the media about how he noticed significant improvements in Ogero's performance and even claimed this progress is something we can all be very proud of, noting the change in a more customer centric approach from creating a positive environment for customer feedback.